Situated in the small hamlet of Kilmacsimon, five miles from Bandon town, the gateway to West Cork just ten miles from Kinsale. 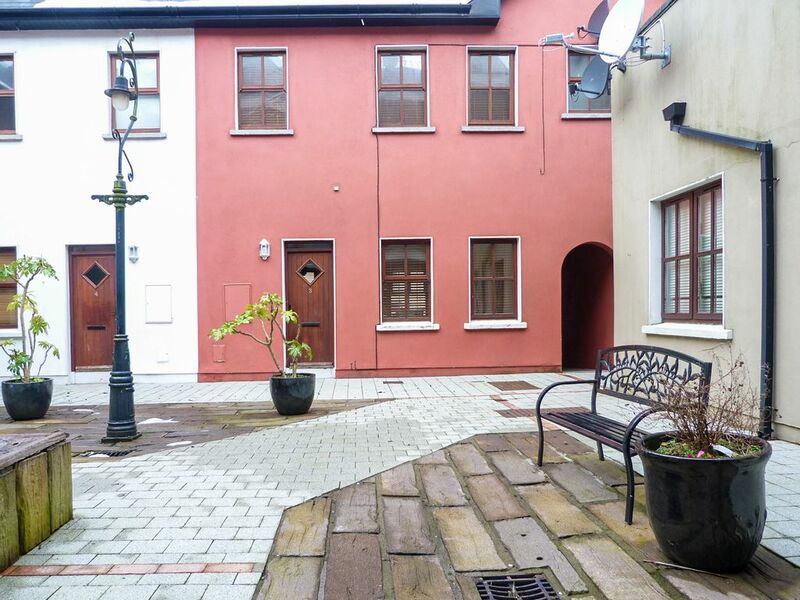 This home is located on the banks of the River Bandon within a residential area and is tastefully furnished, deceptively spacious and offers free WiFi for guests. It is unsuitable for small children as it is on the Quayside which is not enclosed and the staircase inside is rather steep. It is a great base for touring scenic West Cork. There is salmon and sea trout fishing in the river Bandon.Shop 3 miles. Pub 20 yards. Restaurant 3 miles. Beach 8 miles. GF: lounge/kitchen/diner. FF: 2 doubles 1 with ensuite shower room, bathroom with shower over bath. SF: 2nd lounge.Electricity included , oil filled radiators, wood burner with starter pack, linen and towels included, fridge/freezer, microwave, dishwasher, washer/dryer, internet access, hairdryer, shared courtyard, garden seat, on street parking. Sorry no pets.